Research findings by Dr Stephen Kirama, EfD Research Fellow in Tanzania, show an increase of the processing and value addition to agricultural products such as sunflower, timber and coffee due to the extension of electricity services in rural areas. ‘Besides increases in production and revenue, communities in these areas are highly motivated for further energy usage to alleviate poverty’, Dr Kirama told the Tanzanian Daily News on Aug ust 14, 2014. Small hydropower projects are going on in many villages. These projects provide modern, low-cost energy services to households and business enterprises. Electric power is also supplied to schools, hospitals, health centers and public offices. ‘EfD Tanzania in 2014 took quite an interesting turn in its policy interactions in research and consultancy activities’, says center coordinator Dr Razack Lokina. ‘When we focus our policy interactions mostly on government agencies and large organizations, active and fruitful contact with the grassroots is not realized. So, for 2014, the policy interaction has added close working collaborations with community-based organizations and civil society organizations in addition to non-governmental organizations’, says Dr Lokina. EfD Tanzania applied this new approach to several energy-related issues, including small hydropower to deliver rural electricity, as this has a significant impact on growth and development. 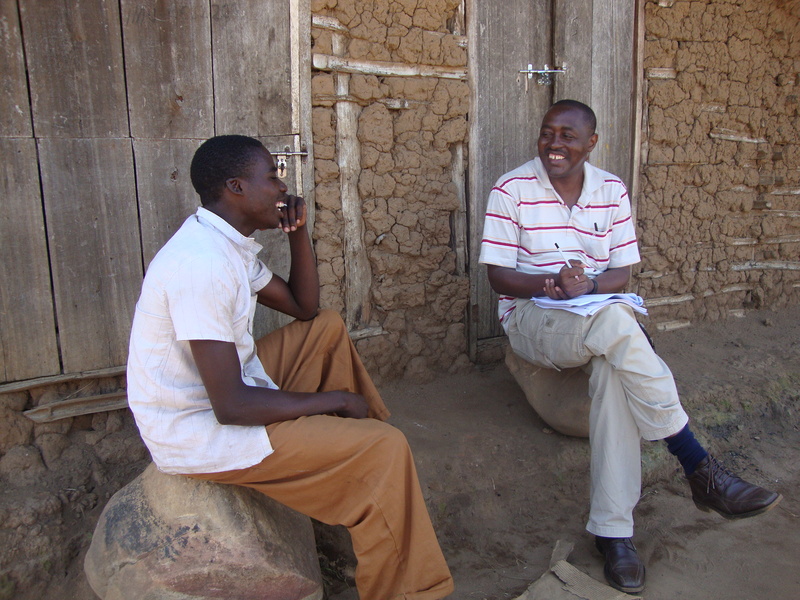 For instance, in the Southern Highlands of Tanzania, Dr Stephen Kirama and Mr Salvatory Macha interviewed local hydropower operators and users in collaboration with ACRA-CCS, an Italian non-governmental organization working in Tanzania since 2006. ACRACCS is an independent organization working to remove poverty through sustainable, innovative and shared solutions. It supports a micro-hydropower supply system that is owned and operated by LUMAMA, a community-based organization in the southern highlands, its acronym formed as a combination of three village names: Lupande, Mawengi and Madunda. The research involved seven small hydropower plants managed by different community-based organizations. One finding of the research was to advise the small hydro producers, which are now working independently, to form a network. In addition, for the sustainability of the small hydropower plants, the best agricultural practices as well as environmental protection measures are vital, both upstream and downstream. In this regard, the major recommendation is strengthening tree planting campaigns, and conducting awareness seminars to ensure environmental sustainability of water catchments. ‘For the first time in the history of EfD Tanzania, the research findings of key studies were disseminated to the level of the civil society organizations as well as the community-based organizations that are closely working with the grassroots’, says Dr Kirama. ‘There has also been a significant policy impact when the above research was disseminated to the grassroots’, adds Dr Lokina. ‘The reception when the research findings were publicized was immense’. The new approach has also been applied to research studies on renewable energy and the oil and natural gas sector. One of them is a baseline survey and capacity needs assessment for strengthening the role of civil society organizations in delivering sustainable energy solutions in Tanzania, conducted by Dr Aloyce Hepelwa and Dr Stephen Kirama in collaboration with the World Wildlife Fund (WWF) Country Office in Tanzania. Another is an evidence-based research and policy review of the oil and natural gas sector in Tanzania. The purpose is to identify gaps, challenges and opportunities relevant to civil society organizations and key areas for civil society organization intervention. The research findings have been published widely in local newspapers. Currently the findings are being used to prepare policy briefs for more dissemination. In addition to the media attention, several members of the center have been invited by other nongovernmental organizations dealing with energy issues to work on collaborative research work in the energy sector. For example, the Iringa Medium Hydropower Plant, located at Mwenga Coffee Estate, currently generating more than 15.5 GW of electricity and with 14 project villages, has requested the center’s assistance in research work, in particular, finding some interested master’s and Ph.D. candidates to conduct research on the sustainability of the project. ‘It is evident that the involvement of organizations at the community level is crucial in making the research findings important, reaching the people, and enhancing very positively the concept of environment for development, especially at the grassroots. It also makes the center visible to more stakeholders’, says Dr Lokina. Aloyce Hepelwa, Stephen Kirama, Razack Lokina, Salvatory Macha, John Mduma, Adolf Mkenda, Wilhelm Ngasamiaku, and Onesmo Selejio.